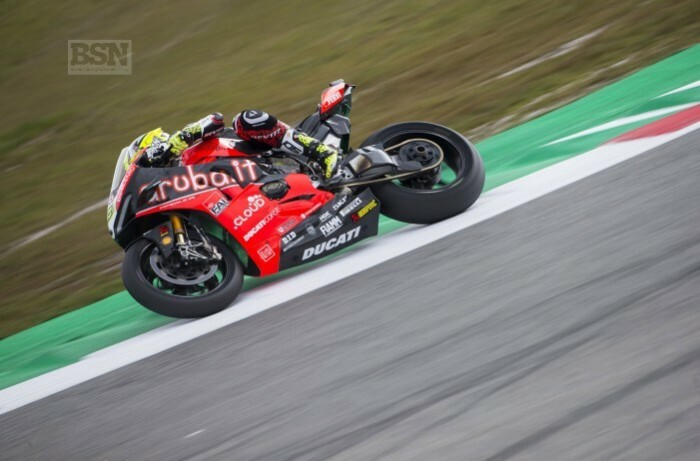 Runaway WorldSBK series leader Alvaro Bautista survived an early scrap with reigning champion Jonathan Rea to take the double win at Assen this afternoon. The Irishman then backed the pack up to try and mess with Bautista’a rhythm but the Spaniard returned the favour, made a pass stick and then cleared off for a five-second win. Local hero Michael van der Mark also passed Rea with three laps to run which pushed the Kawasaki man back to third who was demonstrably struggling for rear grip. Rea tried to fight back on the last lap and the pair made contact at Duikersloot but it was not to be and he lost out by 0.020s. Chaz Davies (Aruba Ducati) briefly went up to second after Bautista took the lead but Rea went back to second on lap seven, just as Davies started to drop back.